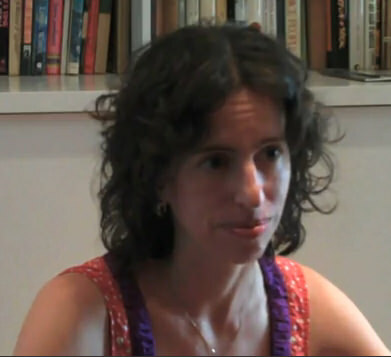 Anna Kushner is the translator of the new English-language version of the novel Heretics, by the Cuban writer Leonardo Padura. In addition to translating Padura's work, she has translated the novels of Guillermo Rosales, Norberto Fuentes, and Gonçalo M. Tavares. She first traveled to Cuba in 1999. Q: How did you end up translating Heretics, and how did you first get involved with translating Cuban literature? A: I have been a fan of Padura's work ever since reading Máscaras, one of his early Mario Conde detective novels, about 15 years ago or so. 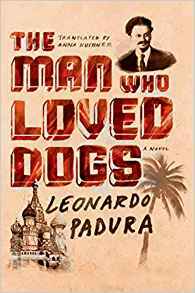 When The Man Who Loved Dogs, his novel about the events leading to Trotsky's assassination, came out, I read it in Spanish and immediately fell in love with it. It brought together several topics that have obsessed me for years - the Spanish Civil War, espionage, Stalin's show trials, and Cuba in the 1970s (a particularly complicated time for writers and intellectuals). At the time, it absolutely felt like "the" novel I had to drop everything for and translate. Fortunately, FSG gave me the opportunity to do so and my English translation of this novel was published by them in 2014. When I read Heretics, I was amazed by the deftness with which Padura combines the use of historical fiction and the detective genre, bringing together in one novel what I had previously enjoyed so much in his other distinct works. I again knew that I wanted to translate it more than anything else I had read or was reading at the time. Now, specifically, the subject of the St. Louis and of what constitutes "heresy" seems more timely than ever. Q: Do you see any common themes running through the Cuban literature you've translated? A: Many of the books I've translated involve the roles we play or refuse to play as individuals and the identities we assume as masks. William Figueras of Guillermo Rosales's The Halfway House has a lot in common with Iván Cárdenas of Padura's The Man Who Loved Dogs. Figueras is a Cuban exile in Miami while Cárdenas has never left the island, but both reject the game of masks that society seems to demand of them and end up paying for it by being self-proclaimed losers, both defeated by life. Meanwhile, Ramón Mercader of The Man Who Loved Dogs and Elias Ambrosius Montalbo de Ávila of Heretics both take this notion of masks to an extreme. Mercader is trained as a Soviet spy and ends up inhabiting an entire life under an assumed name and fictional identity. Montalbo de Ávila is the son of devout Jews in 17th-century Amsterdam who defies the conventions of his time and culture to become a painter, but in secret. 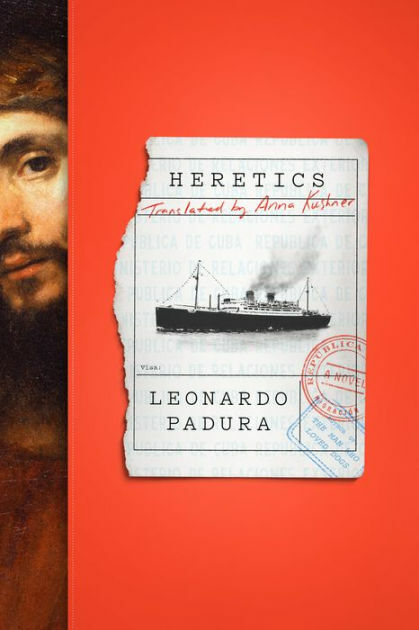 A: Padura opens the book with a definition of the word "heretic" and the various ways in which it is used, including in the Cuban context, where it is used as a modifier to describe a difficult situation. Each of the three main characters of the book - Daniel Kaminsky, Mario Conde, and Elias Ambrosius Montalbo de Ávila - is a heretic in his own way and time period, but they are all also subject to situations that can be described, objectively, with the adjective "heretic" in the Cuban sense. A young boy exiled in Cuba, far from his Eastern European roots and family, a retired detective who wears his heart on his sleeve in a country where nothing is straightforward and honesty gets you nowhere, and a young Jewish man who wants nothing more than to paint and create, something that is forbidden to him by his religion. 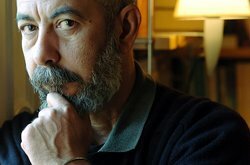 Q: What role do you see Leonardo Padura playing in Cuban literature? A: It is difficult to think of an American author that I can use as a basis for comparison to describe the impact and reach of Padura's work within Cuba. So I will just tell the anecdote of what happened as I waited to meet up with him while I was visiting Havana [recently]. I was talking to a friend outside of the building where I was staying, unsure of whether I'd have to wait 10 minutes or an hour for Padura to arrive (Cuban notions of time can vary widely), when we suddenly both heard someone yell "Padura!" We turned to look and a man in a large truck was getting out and walking over to Padura's car as it was slowing down in front of me. He leaned into the window and I noticed he was getting Padura's autograph. This man had followed Padura's car for who knows how long just for the opportunity to tell him how much he admired his work. That kind of thing seems to happen a lot. Padura is a local celebrity. A: A little bit of this and a little bit of that. I am finishing the translation of a book of essays by Mario Vargas Llosa for FSG while also working with an agent to sell a new project that is in the very beginning stages. Plus reading and reading. I picked up so many books at the Havana Book Fair and have been going back and forth from one volume to another. A: I didn't get to answer the question above of "how did you first get involved with translating Cuban literature?" It's a difficult one to answer succinctly, like when someone asks you "how does it feel to fall in love." New Directions published a video interview with me in 2010 in which I attempted to describe how I became the translator of Guillermo Rosales's The Halfway House. Describing how I came to Cuba and Cuban literature more generally is both more difficult and perhaps absurdly simple. I grew up in a house in which books and Cuba were everything, and in which my parents made me memorize José Martí's "Los zapaticos de rosa" and recite it every Jan. 28 (his birthday). So here I am.